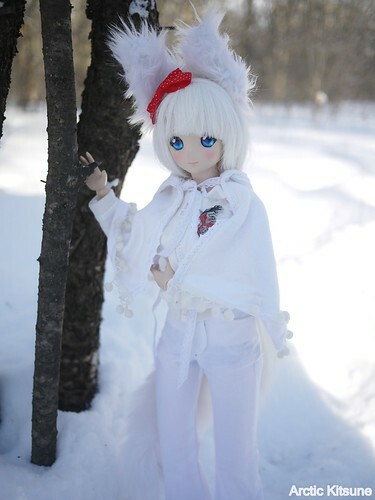 I updated the first post because my doll group has changed. No more monster high dolls! I went off them. But I got a new girl the other day! And she's adorable. Anyone else getting any of the Lil Fairies? 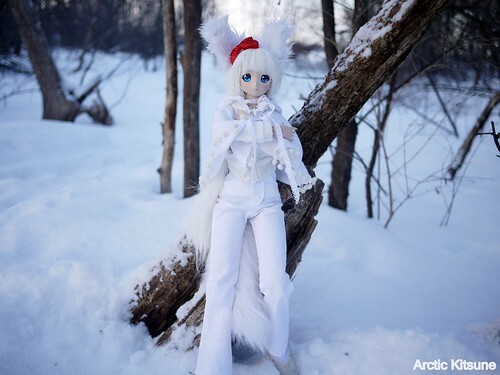 Or has anyone gotten any new dolls of late? 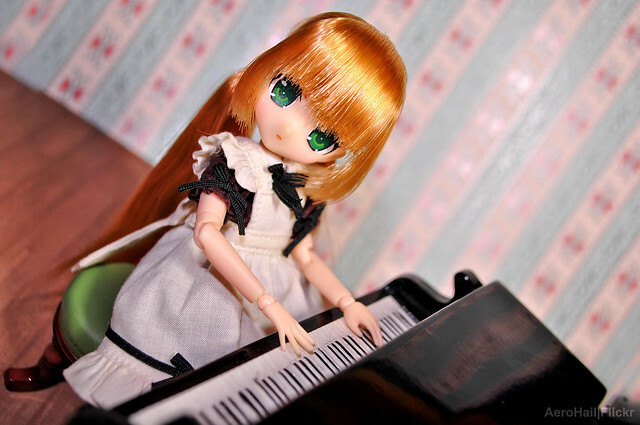 Need info on that green doll, she looks very interesting! 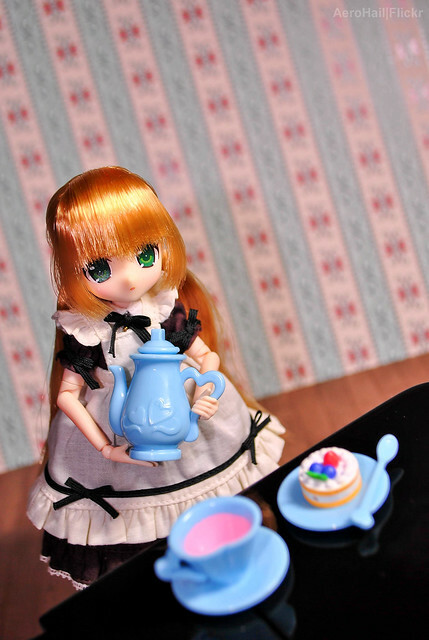 Shiaoran wrote: Need info on that green doll, she looks very interesting! X is a Batchix Minimachina Eta. She's very awesome but is not too good at posing. That shot of her is actually rather photoshopped as she had 2 stands holding her in that position. 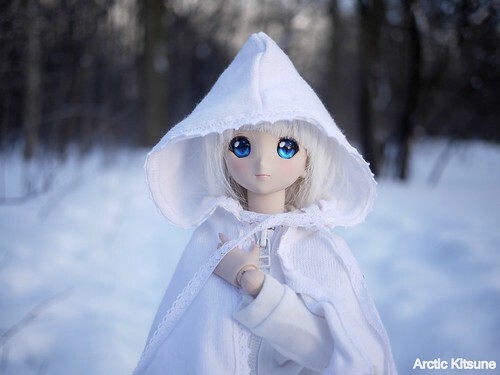 Never the less she's a wonderful doll and there's some really pretty mods of the sculpt! I wanna get around to panel lining her because the ones that have had it done just look even more awesome. 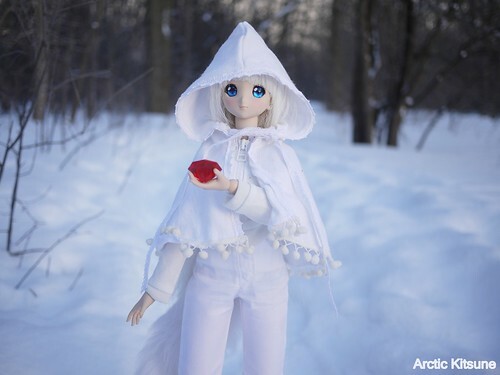 Found a custom Oorbellen doll link: http://ameblo.jp/tetsumo2/entry-11601840433.html looks pretty cool imo. Thanks for the info, Onya, they do look very interesting. Bookmarked. There are now two Lil Fairies home. Oh! Lovely! 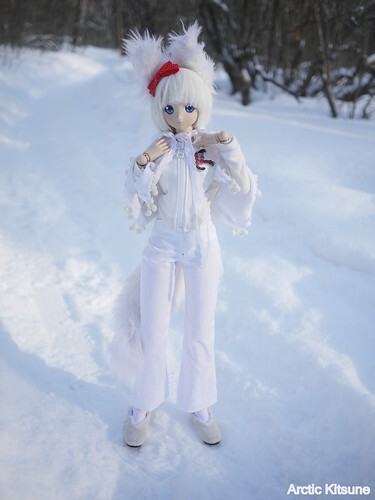 I haven't seen or noticed any other Shinki dolls around...Only what's been shared on here, Tumblr, and whatever pops up on my Twitter Timeline. Also, guess it's been a while. 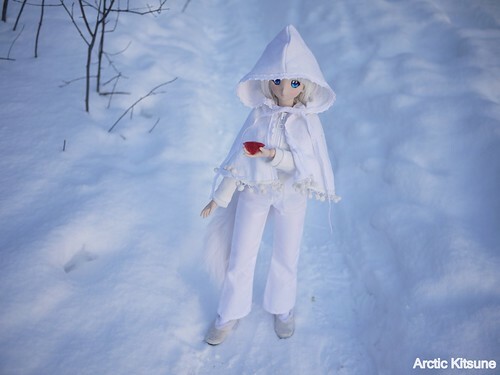 Varakitsu having fun with her new winter loot being a pair of amusing shorts, white warm sweater, and a cape. Waiting for March 06th to share more on her birthday on my blog. Also managed to get the Yokatta order clarified as a Japanese language barrier was apparently at fault on my side. Should be coming in soon, sadly after her birthday. ArcticKitsune wrote: Oh! Lovely! 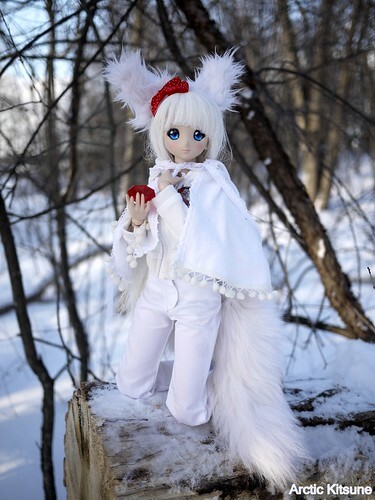 I haven't seen or noticed any other Shinki dolls around...Only what's been shared on here, Tumblr, and whatever pops up on my Twitter Timeline. Oh! I shall keep an eye on that blog post. 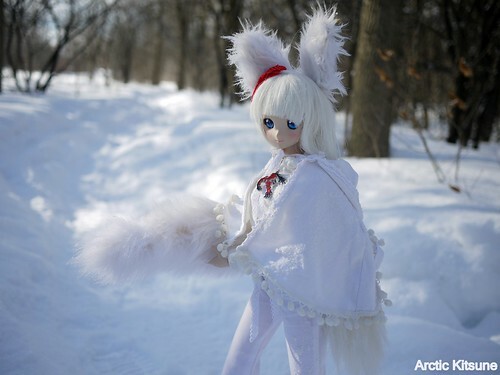 I just love shinki dolls! Ahh, Varakitsu looks wonderful as always. And I'm sure she wont mind her birthday gift being a little late. Do hope people share more images as I do want to archive them down for others to see. Many thanks and I'm glad she does. Seeing as how it's coming within 5 days (next week) it should be perfectly fine. Have more festivities to do then heh. 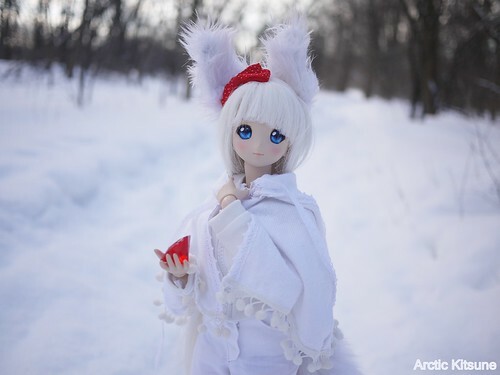 She enjoyed her little stroll on what would be considered a warm Canadian day of -10*c . Birthday festivities coming whenever her gift does with Shinkis and chocolate. Can't wait!